If you’re an avid motorcyclist that’s entertained the idea of Bluetooth Communication, chances are you’ve come across Sena products. Sena remains one of the leaders in Motorcycle Bluetooth Communication. There’s a very good reason why. They continue to take Bluetooth technology to its limits….and beyond. Sena charges hard into the action sports world with the introduction of their new Sena Prism Bluetooth Camera. Look out GoPro. Sena is coming for you. 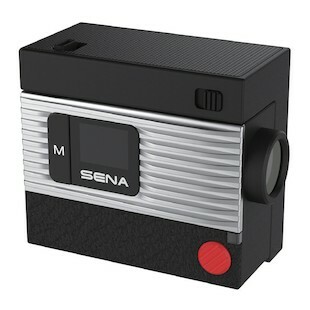 The Sena Prism Action Camera has 1080p recording, Bluetooth 4.0, upgradable firmware, a small classic style, and more. Not satisfied? How does Sena, a Bluetooth Communication Company, take their skillz and crank it up a notch Emeril Lagasse style? BAM! 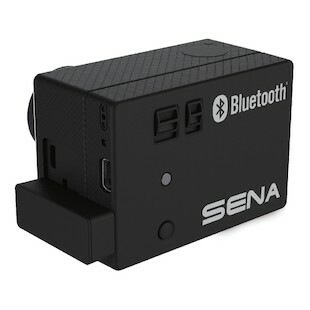 Sena Bluetooth Pack For GoPro. BAM! Use your Sena headset to narrate your footage live. BAM! Accidentally record your mid-air panic attack. BAM! The Sena Bluetooth Pack For GoPro will attach to any GoPro Hero3 camera. Get ready YouTube junkies. This is the perfect tool for tutorials, DIY videos, and more. Sync your SMH10 with your GoPro and let the commentating begin.